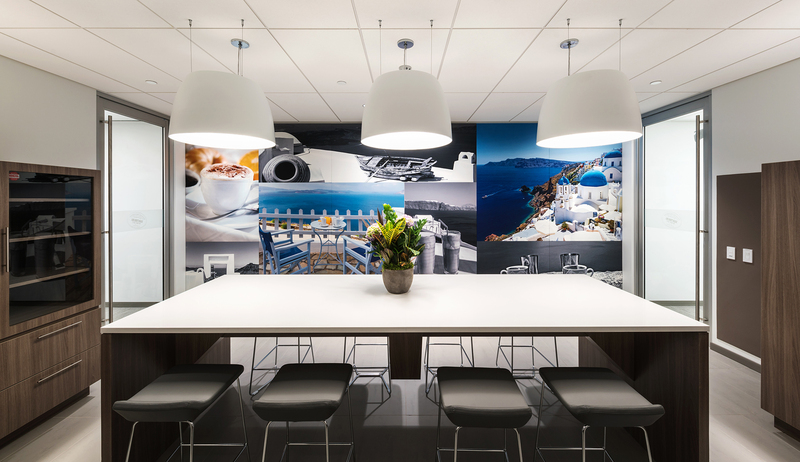 A modernized workspace for a dynamic and growing firm. 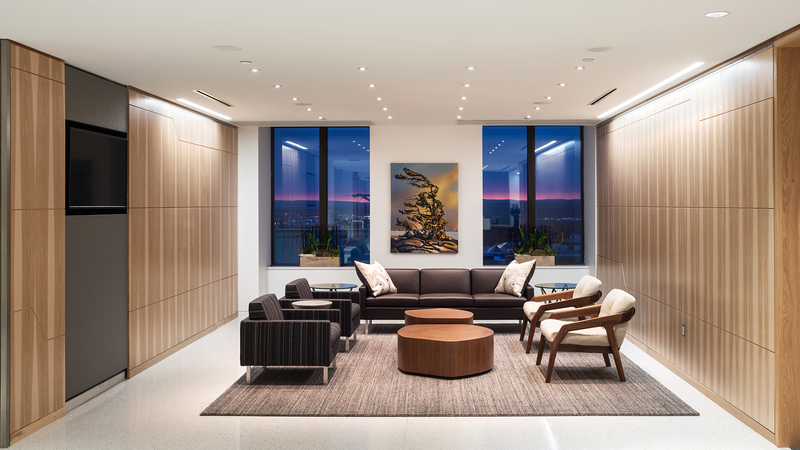 We provided project management services throughout planning, design, construction, and close-out of the renovated office space. 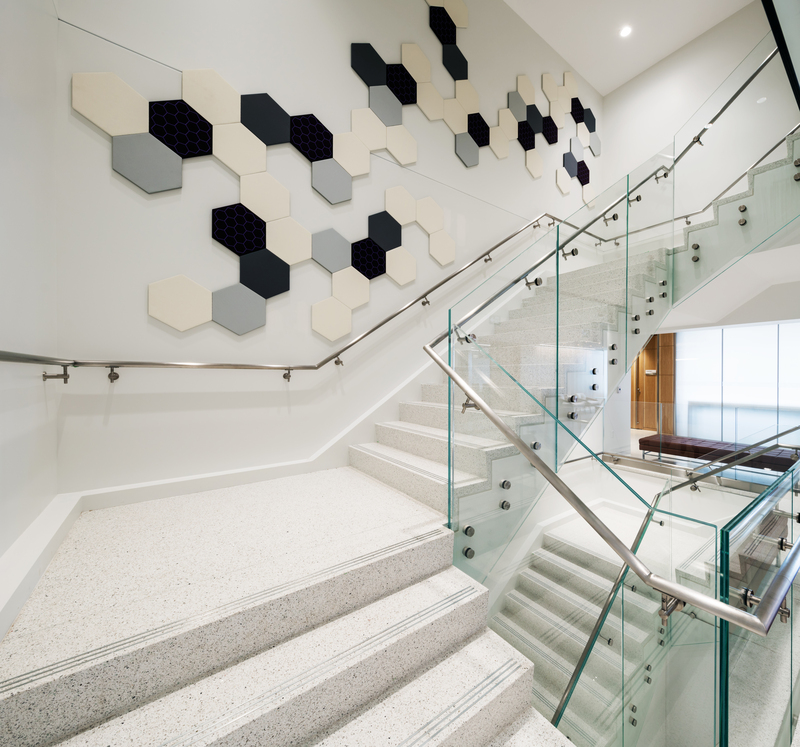 Our team utilized swing space within the existing building to ensure daily operations had minimal impact, and the revitalization of each floor was done in a multi-phase approach. 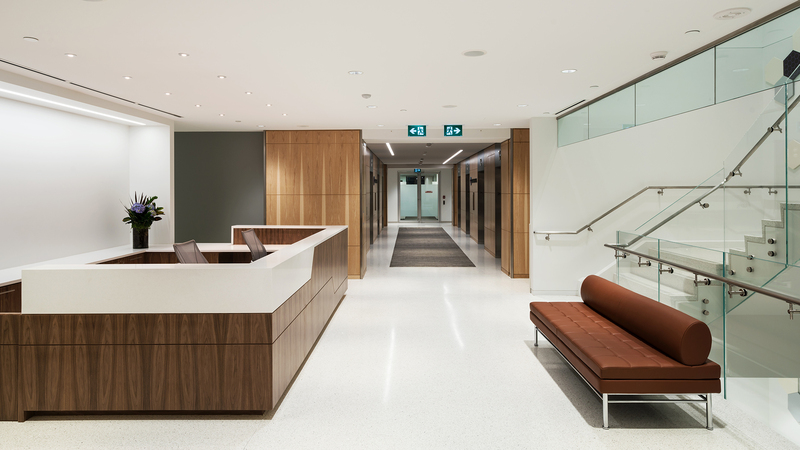 The new Class-A office includes state-of-the-art conference rooms, a new reception space with multiple seating areas, a lounge with stunning views, work spaces that balance open and closed concept, multiple break rooms and a resource centre. The project was completed ahead of schedule and under budget.